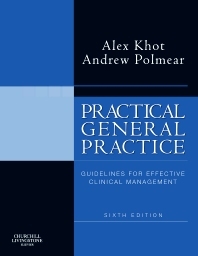 Practical General Practice is a highly practical manual, specifically designed for use during the consultation process. Containing over 1000 conditions, the unique underlying structure of the book allows the GP to see immediately what treatment is recommended and why. All recommendations are highly specific - giving a firm guide to the GP during the consultation process rather than a list of possibilities that the GP might wish to consider. Bullet points for action which give the GP an immediate summary of the issues that must be covered in the consultation. Bullet points of the key evidence which justifies those recommendations. All chapters thoroughly revised, to reflect changes in the evidence, and in major guidelines, since the last edition. General. Infectious diseases. Sexually transmitted infections. Childhood problems. Cardiovascular problems. Respiratory problems. Gastroenterological problems. Endocrine problems. Rheumatological problems. Neurological problems. Gynaecological problems. Contraception and sexual problems. Obstetric problems. Urinary problems. Surgical problems. Psychiatric problems. Substance abuse. Eating disorders. Chronic fatigue syndrome. Ear, nose and throat problems. Eye problems. Skin problems. Allergic problems. Older people. Disability. Haematology. Cancer and palliative care with patients with cancer. Management of pain. Death and bereavement. Health promotion.